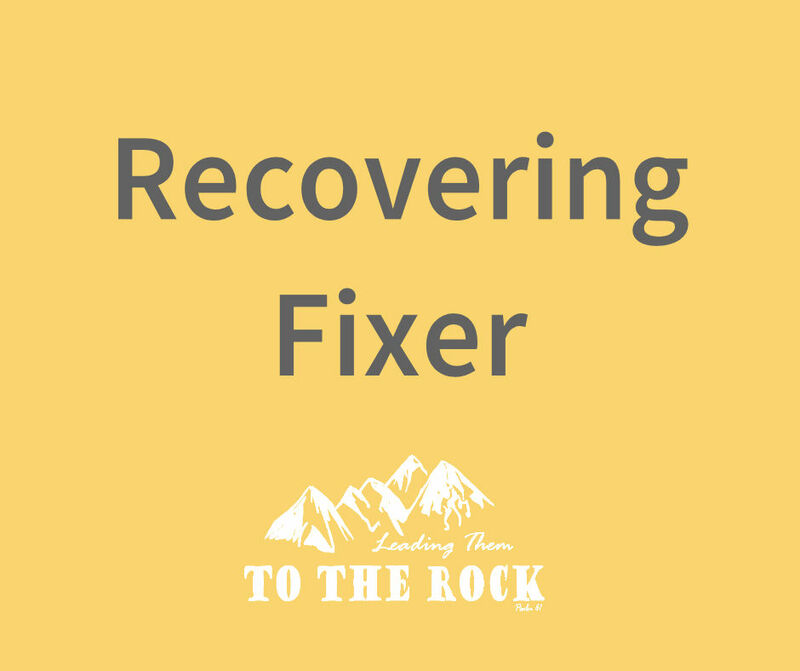 Hello my name is Robyn, and I am a Recovering Fixer. I am also a recovering people-pleaser and Enabler. I say Recovering because I know that I could easily slip back into those patterns when I don't keep up my guard. 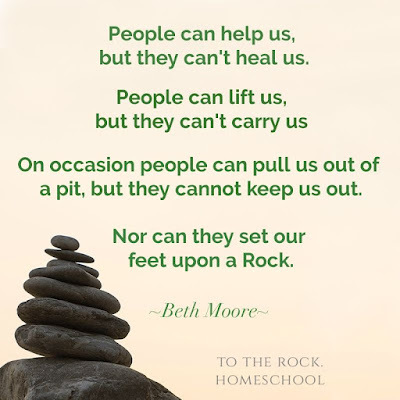 While this site is mostly about homeschooling, the title "LEADING THEM TO THE ROCK" was chosen to remind me that I AM NOT THE ROCK. I can't save anyone, I am not the highest rock. Homeschooling can't save my kids. I can't save my broken-hearted family members, or my unsaved loved ones. I can not be enough to fix the deepest wounds in their lives. What I can do is be there to weep with them as they weep. I can rejoice with them as they rejoice. I can loudly proclaim the God in whom I found healing. I can share with them healing resources and confront with love when needed. I can not save them or place their feet upon The Rock. I can not take responsibility for the reactions. I can not make them change their behavior. I can not (and should not) protect people from consequences of their unhealthy patterns. I can not be THE ROCK of salvation. People can be a rock in your life. I wholeheartedly believe God's healing in my life has come through the arms and words of HIS PEOPLE. They love me, they accept me, they sanctify me. Please do not read this as an endorsement for Isolation from God's People. But People can not be THE ROCK, the HIGHEST ROCK. Too many times in my life I have asked too much of people, or have allowed others to ask too much of me. I've tried to make humans my highest rock. Many times I expected people to heal my heart in ways that were unfair and unrealistic. I have placed family members and friends on pedestals of an idol, just to have them knocked off as they inevitably behave as a human with faults and flaws. I have subconsciously tried to be the Highest Rock to others in my life. Growing up with a mentally ill mother and toxic family dynamics created unhealthy coping mechanisms in me. 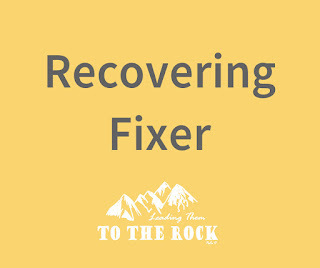 I was "the Fixer" in my family. Seeking healing though boundaries has taught me what I can do in others lives, and ultimately what I can't do. Be careful that you don't make others your Savior, or worse, try to be a Savior to others. LEAD THEM TO THE ROCK WHO CAN TRULY SAVE. I call to you when my heart is faint. Contains aff links. Thank you for supporting the site at no extra cost to you.